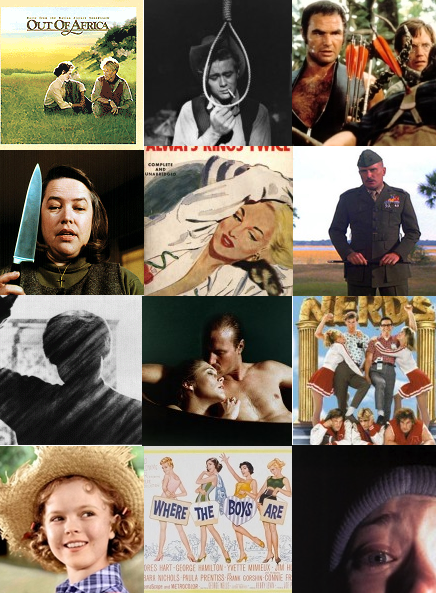 (left to right: Out Of Africa, Giant, Deliverance, Misery, The Postman Always Rings Twice, The Great Santini, Psycho, Body Heat, Revenge of the Nerds, Rebecca of Sunnybrook Farm, Where the Boys Are, Blair Witch Project). AND NOW it’s time for a contest of our own: the much-awaited Dawson’s Lagoon Micro Fan Fiction Contest. Readers, I invite you to send me your best sentence featuring Dawson, Joey, Jen and Pacey (and Jack? even though his only purpose is to make depressing asides about the breakfast of his institutionalized mother?) at wilderness camp. Feel free to include Melisha, the other Jack, and our friends from the world of K-Kemp. Let worlds collide, people! 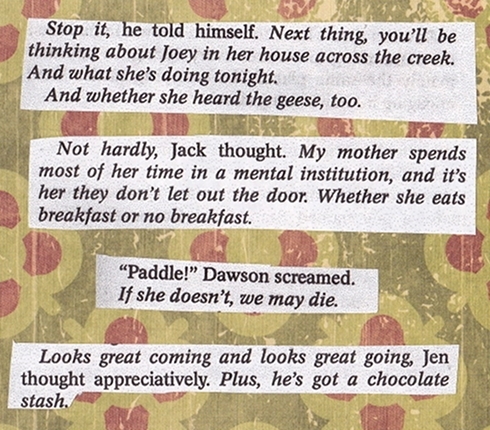 Keep in mind, Dawson’s Creek was known for the improbable verbal dexterity of its characters (subtext, anyone?). 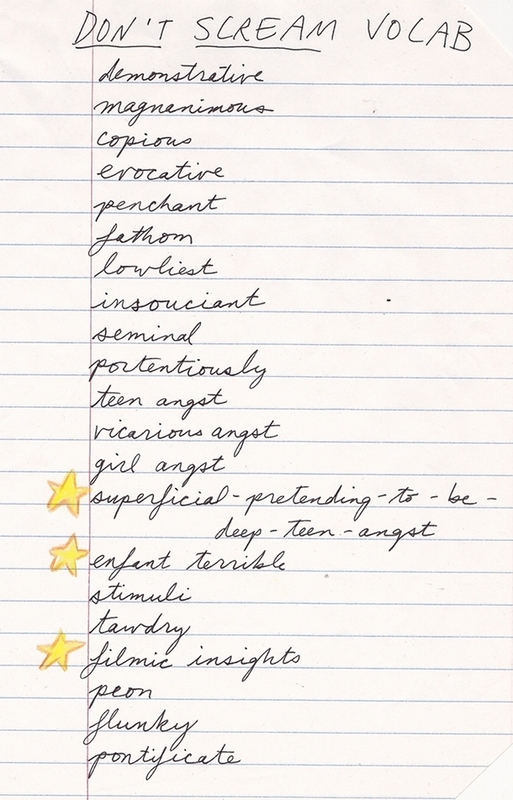 So extra points for including words from the Don’t Scream Vocabulary List I have thoughtfully compiled. Next thing you’ll be thinking about Joey, and whether she had breakfast too. “Jack, please give it a rest with your superficial-pretending-to-be-deep-teen-angst,” Dawson screamed. If he doesn’t, we may die.